From my first bite of Hanoi-style crispy catfish banh mi ($7.95), I knew Bun Mee got it: hot, crispy, juicy fried catfish, crunchy, subtly tart daikon and carrot, thin cucumber, sprigs of cilantro, slices of jalapeño and an almost unnoticeable but essential swoosh of aioli in a tender roll. Unterman then tried every sandwich on the menu and, well, loved them all. 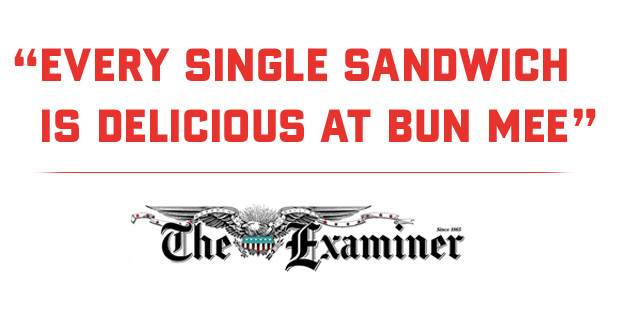 You can read her bun-by-bun review here, or come in and taste for yourself!